This cannot be life. This must be death. An incredibly intriguing story with twists at every turn, Simone van der Steeg’s The Chronister Cliff brings readers a tale so unique it feels like an original…and may certainly be one. After Karen’s parents passed away in a tragic accident, she’s tried to live a relatively normal mundane life while living with her four other siblings. But when a new neighbour moves next door, Karen can’t help but feel a strange aura about him, drawing her to pursue what this man is hiding…no matter the cost. 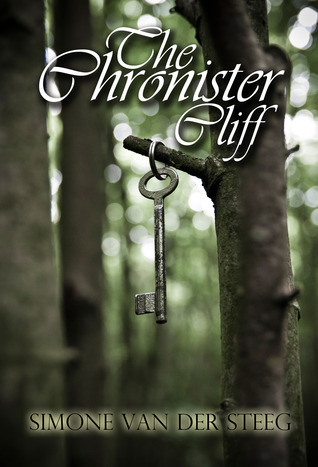 The first in a supernatural mystery series, The Chronister Cliff is an exciting new tale full of wonderful surprises and character twists that will intrigue any reader. “At young age, the now seventeen year old Karen Eason lost her parents. After a difficult time, everything seems to be working out for her and her four brothers after all. She managed to get her life back on track and everything seems to be going well for her, until Thomas Chronister enters her life. Thomas seems to be an extraordinarily kind young man from England. He is always helpful and seems to only want the best for Karen and her family. But when Karen gets to know him better, she discovers that he is hiding something from her. She is determined to find out what it is that he is so desperately keeping away from her. Even though Thomas knows she is on to him, he keeps denying that he has something to hide. When Karen eventually discovers his peculiar secrets, it sets in motion a series of strange and sometimes inexplicable happenings, which make Karen realize her life might just have changed for good. I received a discounted version of this product in exchange for an honest review. This in no way sways my review or opinion of the novel. The Chronister Cliff was a delight to read! Though it may NOT be an original story, it felt like one. I can honestly say I’ve never read ANYTHING like this. You know those “hidden gems”, the books that aren’t on the Top Seller lists per say but really should have more recognition? THIS, my friends, is a wonderful example of one. The point of view follows Karen, so we have to rely heavily on her perception of the events occurring to know what’s going on. One thing I love about first person narration, especially someone like Karen – you can’t really TRUST the character all the time and you only learn things in the story as the character does…so good! The synopsis does a pretty good job describing the story; our heroine, Karen, becomes curious about a new neighbour and his peculiar ways, which in turn causes her to start trying to discover what this strange man has to hide. It’s a simple enough story that readers can easily follow along, yet not too simple that one would lose interest. Simone has a wonderful talent for writing, anticipating the PERFECT moments to introduce key pieces of information and maintain a readers interest level. It was one of those books that was REALLY hard to put down…so I didn’t. Easily a one day read, make sure you book time off if you plan to read this. There are a few things I had trouble with though. Beware instalove haters…there’s instalove. Honestly, I wasn’t expecting this to happen in the novel; it didn’t seem to be going in that direction, but it did. The nice thing is that this relationship does NOT take over the majority of the story, so it’s easy to dismiss for the most part. My other issue was the timing: it all moved so FAST! I’m not even talking about the instalove here. The trust level Karen’s brothers have with Thomas even though they barely know him…it’s just unrealistic in my mind. This COULD be a culture thing though; the author is from the Netherlands, so maybe social interactions and trust levels are different in comparison to Canada. I know this is true in places such as China or even Scotland, so it could be elsewhere. The BEST part about The Chronister Cliff is that every person in the story shows a bit of light and a bit of darkness; no one is clearly defined as good or evil…yet. It makes the characters seem like REAL people, which I find makes the characters MUCH easier to connect with. One minute you could love a character, and then suddenly you want to put them in a choke hold. I don’t necessarily know if there’s a large amount of character growth in the novel, but characters such as Karen do realize that some of their thoughts and ways can have both positive and negative consequences. This novel is HEAVILY story focused in my personal opinion; there is a great amount of attention placed upon Thomas and Karen, but the story moved too quickly for the character development to grow exponentially. The language is simple and fluid, making it extremely easy to simple ride along the waves and finish this book in a day. The one thing I did notice was a number of typos and grammatical errors. This could be due to the fact that it was originally written in Dutch, thus problems with translation. The errors weren’t to the point that it bothered me, but it was something I felt the need to point out. All in all, The Chronister Cliff is a peculiar supernatural fantasy novel that I think many of those interested in something NEW and EXCITING will enjoy. Most of the time, I find many pieces of literature are just copies of previous stories I’ve read. This, however, felt cutting-edge in the realm of young adult and teen literature. It must’ve been pretty good, since I already purchased the second book to read for November 2017. Are you looking for a contemporary fantasy/supernatural novel?